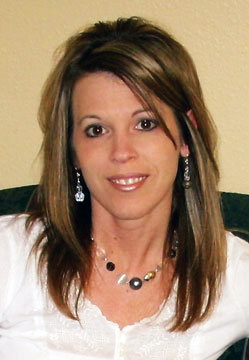 Baker Graphics, Inc. was established by Melanie (Baker) Garberich in 1991. She had seen a need for a graphics shop that offered more than just competitive pricing, but one that saves the customer time from going to many different places to get all their advertising done. She created "The one stop graphic shop", which has evolved into more than just graphics, but a full advertising, marketing and sign business. Baker Graphics has abundant experience in logo design, printed materials, show displays, website design, signs and vinyl graphics. With such diverse training and experience, we are able to provide more of a variety of products and services than most related shops in the area. Baker Graphics is like an off-site advertising department for area businesses, creating business cards, brochures and other printed materials as well as servicing show displays, vehicle graphics and websites for these businesses. We also offer screenprint & embroidery, with a newly offered service of creating online stores for your team, business or organization. We can help you choose popular ideas for your business apparel, fundraisers, etc. Our entire staff has the same goal – to provide the best customer service and to exceed your expectations. Please feel free to contact us at 320.214.8252 or at melanie@bakergraphicsonline.com. We value our customers and we look forward to working with you and creating a long-lasting relationship.